London, May 13th, 2015 – Teletrax®, a Civolution company and the leading provider of real time analytics and TV synced ads, today announced that its TV Analytics – Sports solution has been adopted by the World Rowing Federation FISA* to track Video News Releases (VNRs) for the 2015 World Rowing Championships, the World Rowing Cup series of three regattas and the European Rowing Championships. The Teletrax TV network, which monitors over 2,100 channels worldwide in over 70 countries, enables the Federation to better understand how its video content is broadcast and promoted globally. The Teletrax TV Analytics – Sports solution enables the World Rowing Federation to track its highlight packages so that it can gauge reaction to significant stories during its regattas in a unique and innovative way. Teletrax can decipher which VNRs are making the biggest impact across different regions, and can provide real-time monitoring of the most aired rowing action. By utilizing the Teletrax TV Analytics – Sports solution, FISA knows which pieces of content resonate with global TV channels, allowing FISA to create fine-tuned VNRs that attract viewers and can be used by the media in its coverage of the competitions. Teletrax TV Analytics, the world’s only global television tracking solution, enables clients such as entertainment studios, news organizations, sports rights holders, TV syndicators, advertisers and corporations to determine precisely when, where and how long their multimedia content is being used around the world on television. 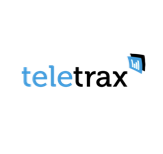 Teletrax currently maintains a proprietary network of detectors that monitors the television broadcasts of 2,100 channels from more than 70 nations in APAC, Canada, Europe, the Middle East, South and Central America and all 210 markets in the United States. The VNRs for the annual World Rowing Championships, the World Rowing Cup regattas and the European Rowing Championships are produced by World Rowing Productions, a joint venture between Quattro Media and FISA.